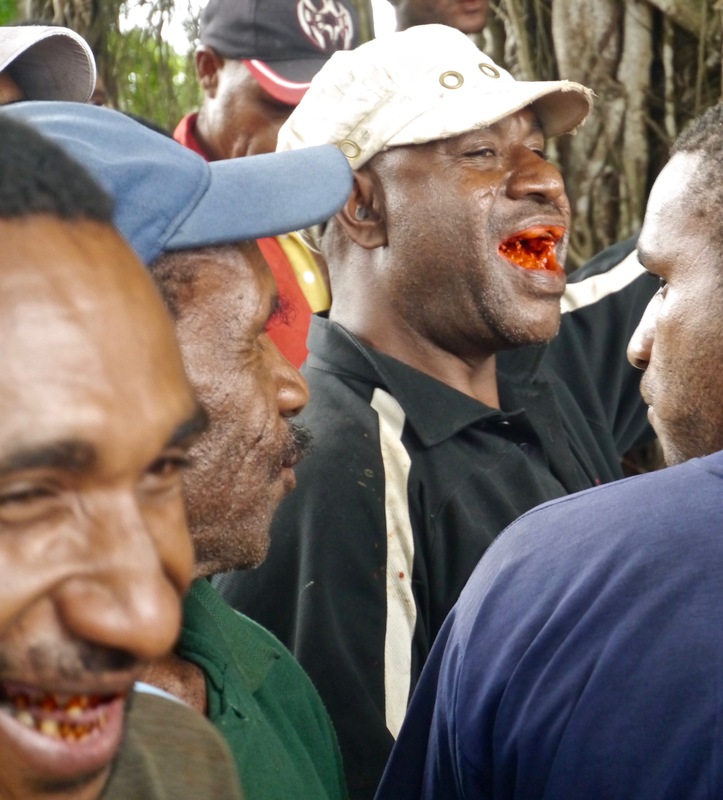 Like most island nations in the tropical Pacific, chewing betel nut is a popular pastime among the people of Papua New Guinea. The effect (I’m told) is a mild and calming buzz, akin to cigarette smoking. 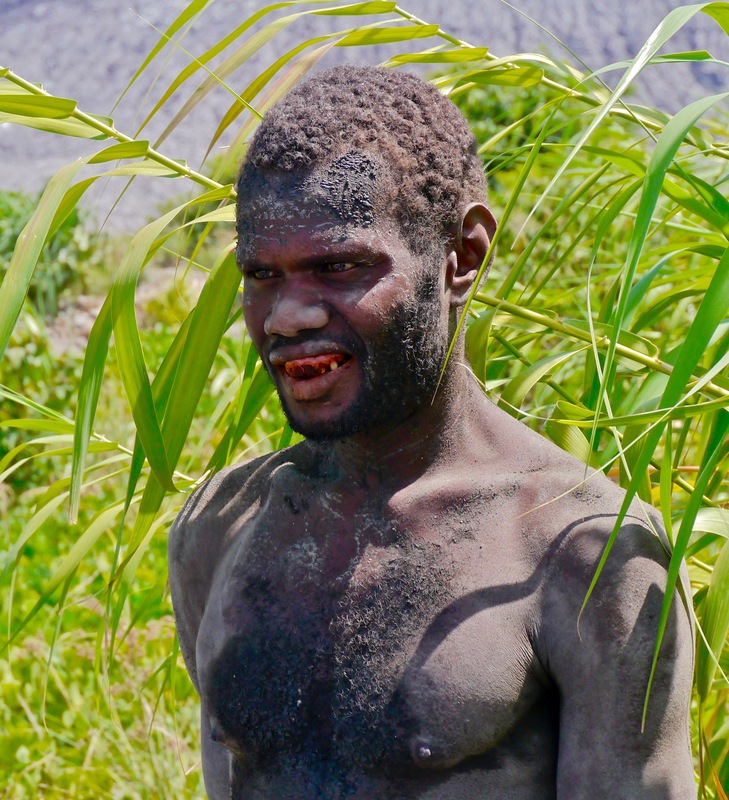 Like cigarettes, betel nut is addictive and not without side effects beyond the ghastly red smile: gum disease, tooth loss, and mouth cancer. So what! 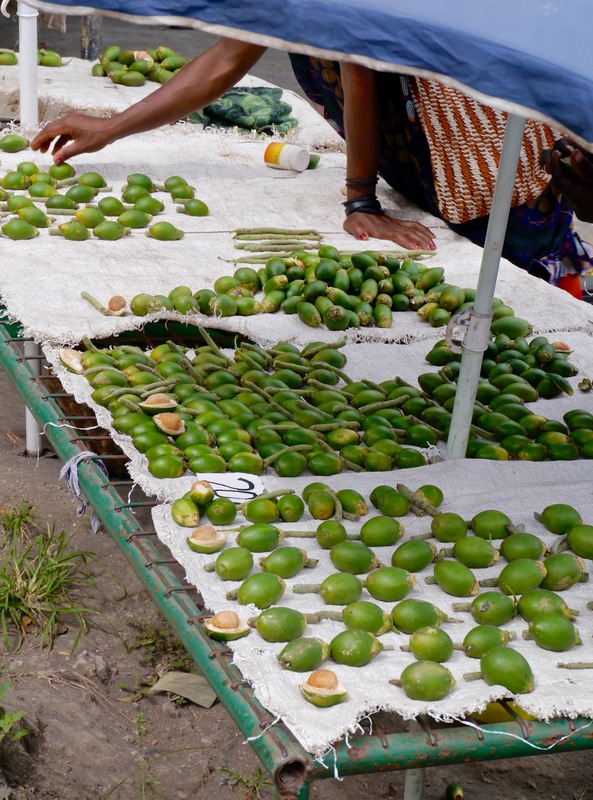 Betel nut—actually, the areca seed and associated chewing paraphernalia—is widely sold on any market day in PNG. Some roughnecks on the street in Madang were happy to demonstrate the technique for enjoying “buai”: bite the nut meat a bit to, what, get it going I suppose, then spit the fibrous wad onto a betel leaf and add powdered lime (or, if you’re man enough, just pour the lime onto the inside of your lower lip). A type of mustard may be added to make it extra gross. Position the wad to the side of your mouth or under your lip; do not swallow. When spent, spit it on the ground, adding to the various clumps of ABC fibers in the gutter. Justin, the Orion’s cultural liaison (and official tribesman by marriage) brought some on board for us to try during happy hour. After tasting it I can safely say I will remain betel-nut free. 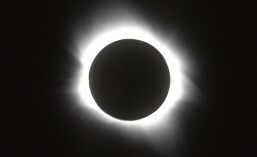 This entry was posted in Solar Eclipse Travel and tagged Betel nut, Cruise, Orion, Papua New Guinea, PNG, solar eclipse, total eclipse, total solar eclipse, Travel, TravelQuest, TSE2012. Bookmark the permalink.